Balanced and Flexible: Architectural design points for compute or I/O bound analytics since big data problems are not all the same. Easy Growth: Building block design point to start small and grow as you envolve meeting the rapidly changing demands of Big Data users. Integrated Design: High performance data ingestion to address all Big Data information requirements with options for networking and storage architectures. JupiterOne is built to scale up according source data volume and used analytics. 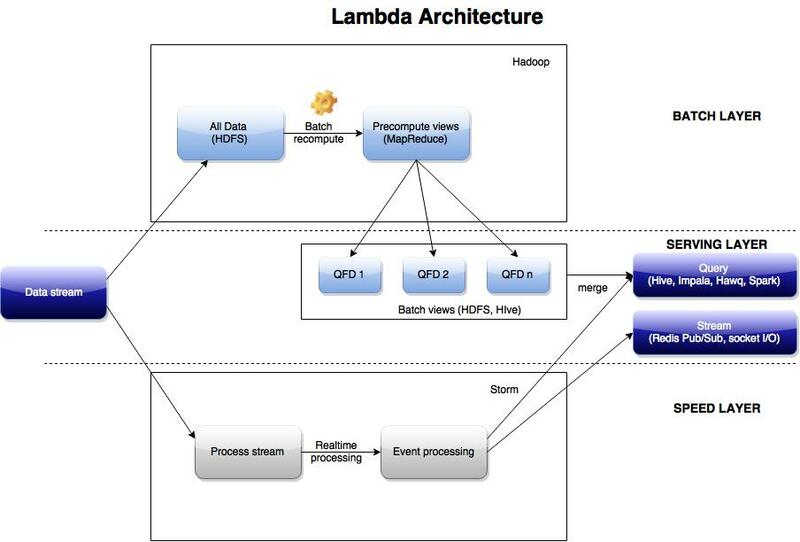 JupiterOne architecture is based on Lambda Architecture. Main characteristic of this architecture is that we have batch layer and speed layer. Together with Serving layer we have powerful architecture for all kinds of analysis.